11 Coleman Street #6, Weaverville, NC 28787 (#3362332) :: Robert Greene Real Estate, Inc. The wait is finally over for high quality new construction in walkable Downtown Weaverville. 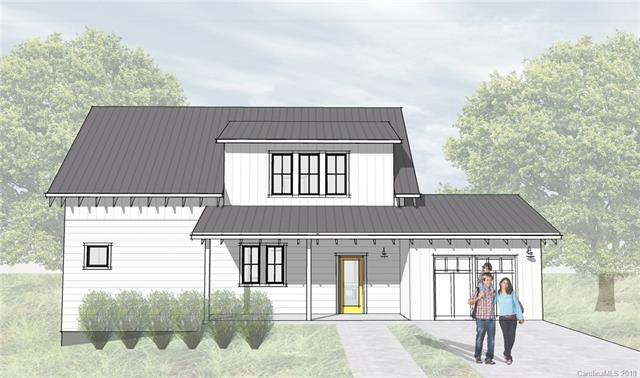 Town Walk is a boutique new home community of custom designed, modern farmhouse inspired, NC Green Built Certified homes to be built by award-winning Red Tree Builders. Each home features open floor plans, main level master suites, hardwood/tile throughout, metal roofs, board and batten siding, composite decking, stainless appliances with natural gas, and will be built to high standards for energy efficiency with a HERS Score target of 60 or below. Take advantage of pre-construction pricing and the opportunity to select from three lines of professionally designed and coordinated interior finish collections to put the perfect finishing touches on your new home. This plan is The Brittain and includes an optional finished basement. Offered by Dogwood Properties. Copyright 2019 Carolina Multiple Listing Services. All rights reserved.